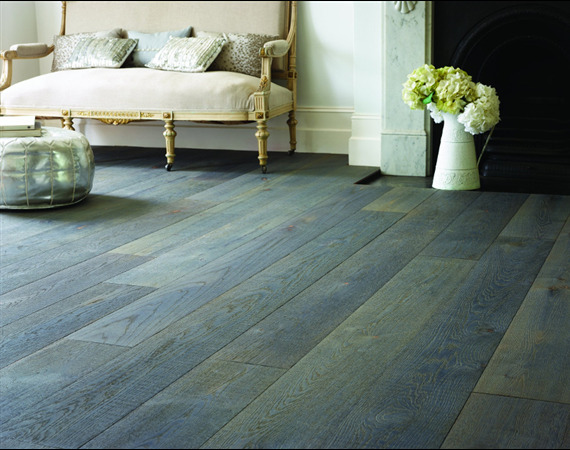 The intense smokey greys and soft clay overtones of our Blakeney Oak flooring create a truly stunning vintage look that is right on trend and is without doubt one of our most popular floors. It has a matt finish and is ideal for adding character to contemporary interiors as wel as bringing period interiors subtly up to date. As part of the Old House collection Blakeney Oak boards feature authentic saw marks across their face, softened by a rich texture and soft patina along their length. 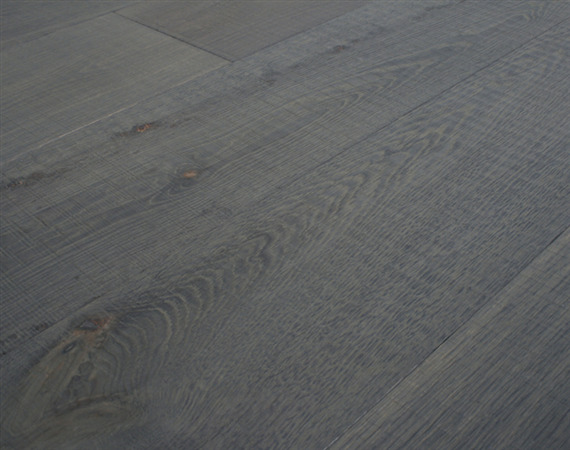 Blakeney Oak is available as either a solid or engineered oak floor in a choice of widths and generous lengths - see the table below for dimensions and details. Both options are made from carefully selected, European Oak and machined to the highest standards. The engineered boards feature our award winning Strata construction, made entirely of oak and offering a whole new level of dimensional stability. Blakeney Oak flooring is made on our Cottage Oak grade and features larger and smaller knots for a comfortable, rustic style. It is are fully finished with durable, natural matt satin hardwax oil and is ready to walk on the day that it is laid.